but also makes the perfect dinner on a winter night. This is my Eggplant Ricotta Pasta and you need to try it! 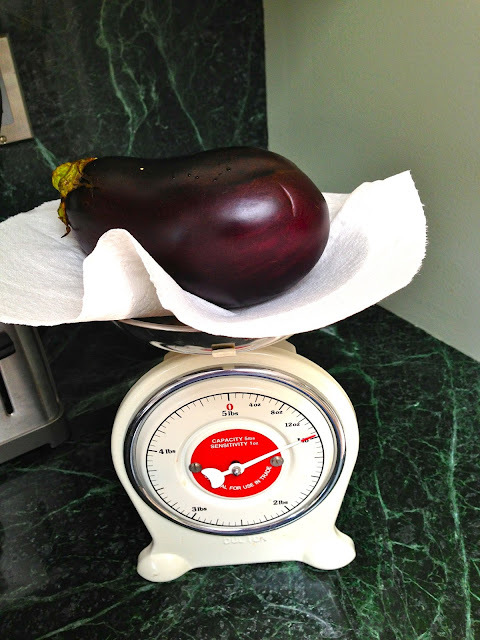 The eggplant I used was a little less than 1 lb. First thing's first: set a pot of salted water (for pasta) on the stove to boil. 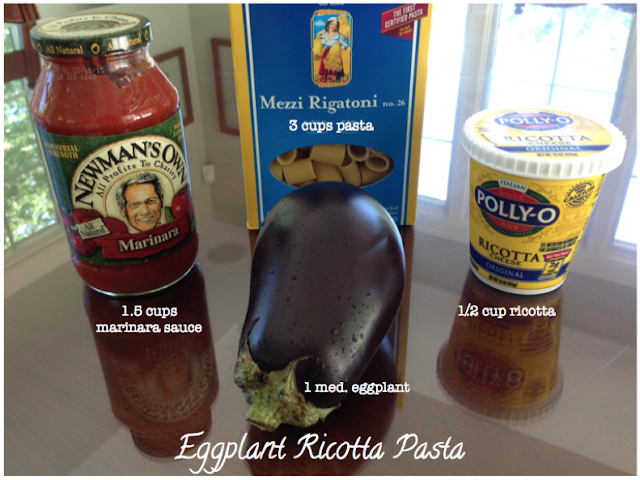 Then chop your eggplant to approximate 1 inch cubes. 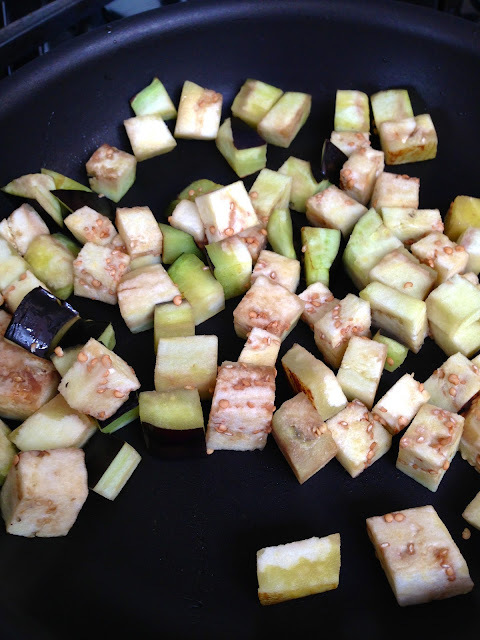 Sauté the eggplant on low heat for about 7-10 minutes with a little bit of olive oil. dry in the pan, add a little bit of water. and add room temperature marinara sauce. 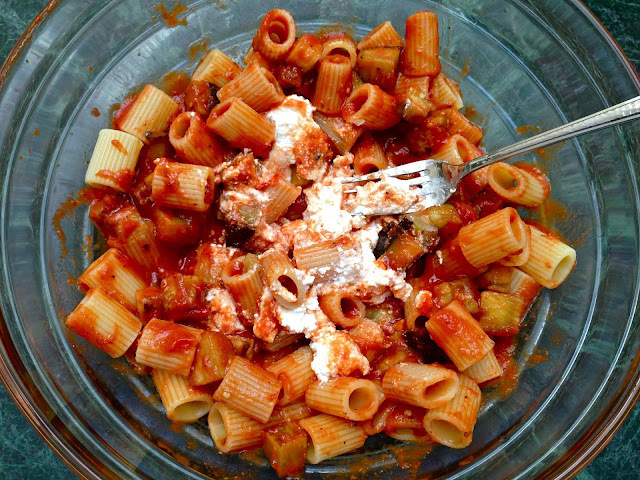 Pour the hot pasta into the bowl. 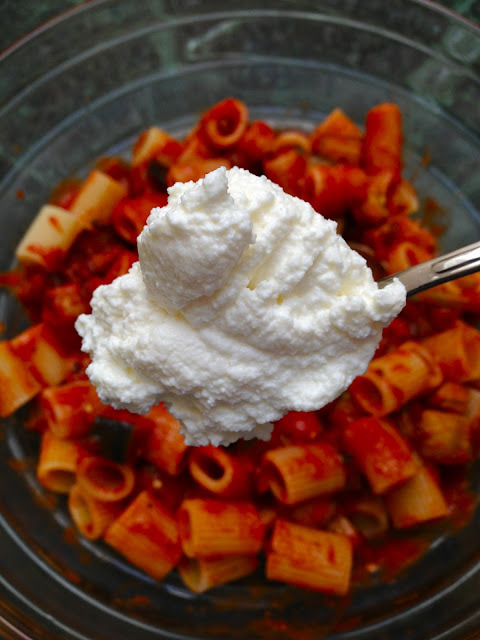 Finish by adding a large dollop of ricotta. Combine everything into a beautiful, creamy, delectable heap.